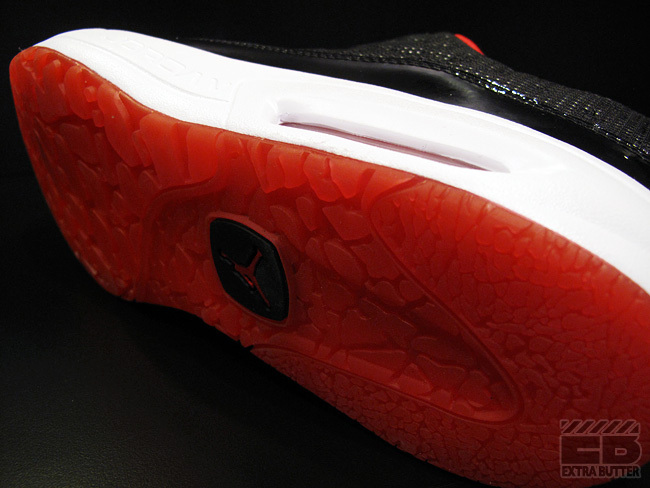 This CMFT Viz Air 13 release features a look reminiscent of both the Jordan XIII and XI. If you've been dying to answer the age-old question of what the Air Jordan XIII would be like in the form of an Air Max runner, you'll be able to do so fairly soon. Launching in early April is the Jordan CMFT Viz Air 13, which combines elements of the Air Jordan XIII and original Air Max. 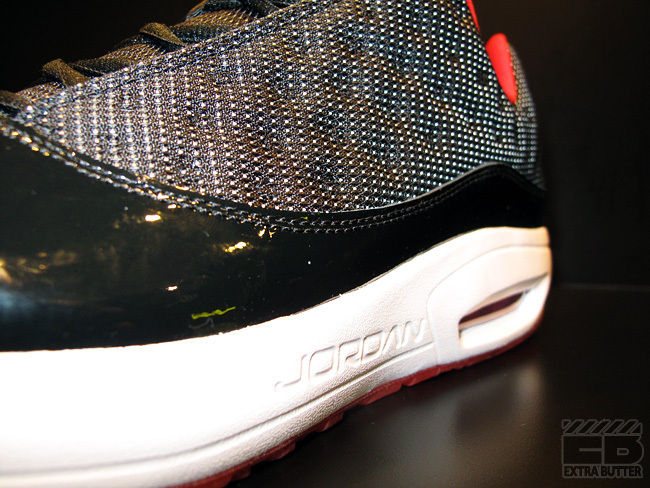 Two colorways will be made available next month, including this look reminiscent of one of the OG XIII releases. 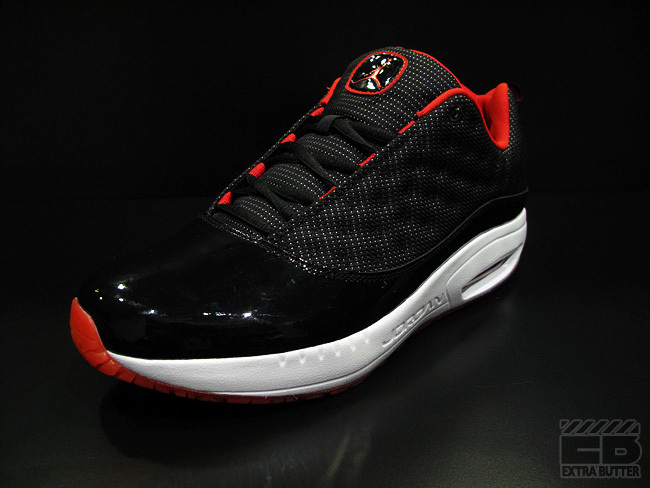 The shoe features a dimpled black ballistic mesh upper with sport red accenting the inner liner, tongue and heel-pull. Also giving the shoe an Air Jordan XI-like feel is the use of black patent leather for the mudguard, which sits above a solid white midsole and semi-translucent red outsole like the aforementioned classic. An official release will occur on April 9th, but you can stop by Extra Butter and pick up your pair early.